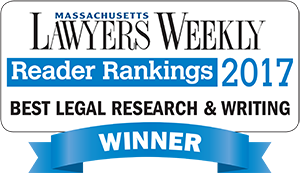 Massachusetts appellate attorney Roger T. Manwaring and Lawyers’ Legal Research & Writing draft appellate briefs and provide other appellate services to attorneys in Boston, Worcester, Springfield and throughout Massachusetts. To find out more, click here or contact Attorney Manwaring to discuss your appeal. The initial consultation is always free. 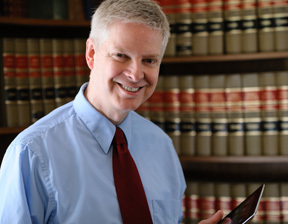 Appellate practice differs from trial court practice in numerous respects, being subject to entirely separate procedural rules and raising unique legal and procedural issues. The following articles concern issues which a Massachusetts appellate attorney may encounter in appeals to the Massachusetts Supreme Judicial Court, the Appeals Court or the Appellate Division of the District Court. A Summary of the Massachusetts Rules of Appellate Procedure: Civil Appeals From Notice of Appeal Through Oral Argument. Post-Decision Practice in the Massachusetts Appellate Courts. Learn how to file a Petition for Rehearing or an Application for further Appellate Review. Application for Direct Appellate Review by the Supreme Judicial Court. A party who wants an appeal to be heard in the first instance by the Supreme Judicial Court may file an Application for Direct Appellate Review. When is an Order or Judgment Appealable? Learn about the general requirement of finality and exceptions which allow for appeal of interlocutory judgments. Interlocutory Review Under Massachusetts G.L. c. 231, §118, ¶1. Learn how to obtain review of an interlocutory order by a single justice of the Massachusetts Appeals Court, under Massachusetts G.L. c. 231, s.118. Report of a Case by the Trial Court to the Massachusetts Appeals Court. Although usually only final judgments are appealable, Mass. R. Civ. P. 64 allows a trial court to report a case for determination by the Appeals Court. Rule 54(b) Certification. Learn how certification under Massachusetts Rule of Civil Procedure 54(b) provides an exception to the general rule that only final judgments may be appealed. The Doctrine of Present Execution. Learn how the doctrine of present execution provides an exception to the general rule that only final judgments may be appealed. Ordering the Transcript of an Electronically Recorded Proceeding Pursuant to Mass. R. App. P. 8(b)(3). Learn about Massachusetts Rule of Appellate Procedure 8(b)(3), which governs the ordering of transcripts of electronically recorded proceedings. How to Obtain an Extension of Time to File an Appellate Brief in the Massachusetts Appeals Court. A party needing additional time to file an appellate brief must seek an extension from the Massachusetts Appeals Court. Learn how to obtain an extension. Court Statistics Show Appeals Are Difficult to Win. Statistics released by the Massachusetts Appeals Court confirm the conventional wisdom that appeals are difficult to win. The Massachusetts Appeals Court Requires Electronic Filing of Many Documents. Learn which documents must be filed electronically and the procedure for doing so. Beware: A Rule 59 Motion Filed More Than 10 Days After Judgment Does Not Extend the Time for Appeal. A trap for the unwary: When a Rule 59 post-trial motion is filed more than 10 days after the judgment, it does not extend the time for appeal. A Summary of the District / Municipal Courts Rules for Appellate Division Appeal: Civil Appeals From Notice of Appeal Through Oral Argument.